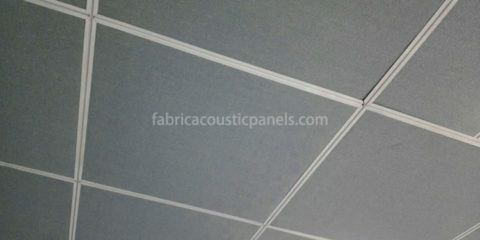 Fabric acoustic ceiling board is available in standard sizes as well as custom cut to meet specific design criteria. The edges can be resin hardened to achieve crisp finish, or natural for soft finish, and can be square, bevel, and slope. Our acoustic ceiling materials are lightweight, easy to install, and can be fire rated. 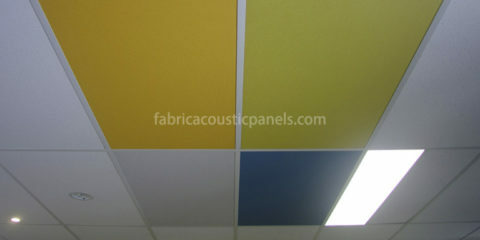 Acoustic ceiling board is manufactured in different models to suit different design requirements. It is an ideal acoustic ceiling solution for controlling reverberant noise problems in aesthetically important space. The acoustic ceiling board is available in a variety of acoustically transparent fabrics, as well as color and surface treatments to enhance any interior decoration. 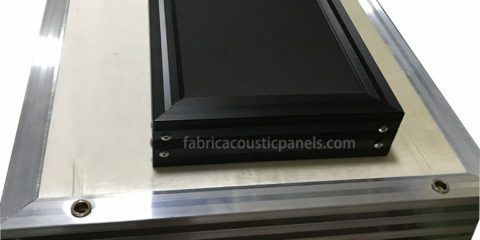 Standard acoustic ceiling board in accordance with the highest standards of manufacturing, specifically designed as a multi-purpose absorption board, can provide an economical way to solve the problem of reverberation noise. Available in 25mm and 50mm thicknesses. Custom size is up to 1200x2400mm. The use of acoustic ceiling board includes offices, airports, churches, restaurants, gymnasiums suspended acoustical ceiling, prisons, corridors, classrooms, conference rooms, or any reverberant noise. In addition to be used as ceiling, the acoustic ceiling board can also be used as wall board. The difference is mainly on acoustic ceiling installation system. 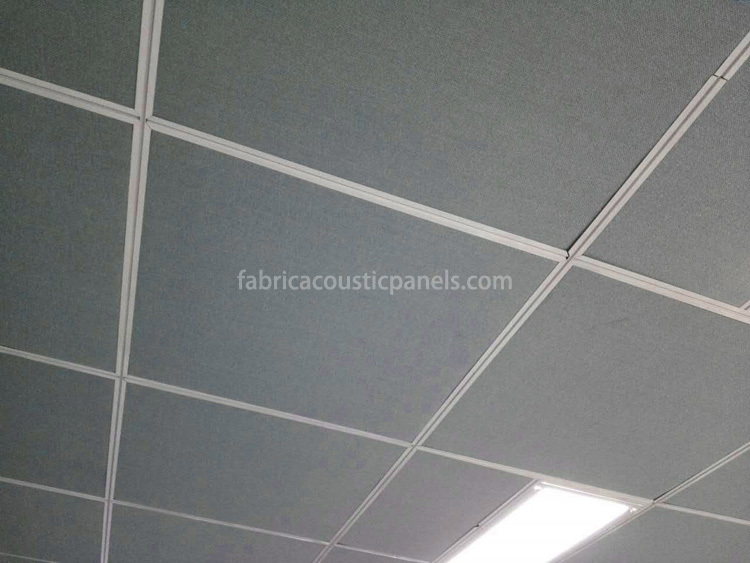 For hanging suspended ceiling, you can just put the acoustic ceiling board on standard grid. When it’s used as wall panel, you can use wood batten as frame and use glue to fix the board on wall. 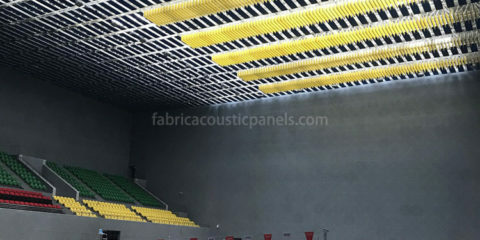 Usually, there is much more space between acoustic ceiling board and the concrete ceiling than that of the wall, therefore, the acoustic performance of acoustic ceiling board is better than that is used as wall panel.